I just got Schooled by my 2-Year-Old. Mindful eating—I learned it from a two-year-old. My two-year-old. The same two-year-old that had a surprise in her diaper 10 minutes ago. She ever so patiently waited as I grabbed a small bowl for her three colorful, chewy candies. I tried placing them in her hand, so she could consume them at once, as I’d assume. Why do you need a bowl? Pop one at a time in your mouth, and be on your way like any sugar-craving toddler! She insisted on this bowl. It took me off guard—shouldn’t her tendency be to grab these and shove them into her mouth as fast as she could, as any toddler would? She then proceeded to wait until I started the movie to even dip her delicate, “Cabbage Patch” hand into the bowl. I waited for her to pop the candies into her mouth. Who am I kidding? If it were me, that candy would have disappeared out of that bowl on the 12 steps down to the basement, leaving me empty-handed for the movie. I’d have the residue that stuck in my teeth for my tongue to explore during the opening song. I thought about the way she ate that candy for days. And the way she paused for a bowl to display her trio of sweets. It had me thinking: where had I gone wrong in my distracted eating style? I grew up in a large Sicilian family—four older sisters and a brother. We gathered together for every holiday to celebrate by eating and overindulging until we walked away from the table grumbling and holding our stomachs. We started our holiday dinners by sneaking and picking at the food display hours before the meal. If I saw my daughter doing that, I’d think it was barbarous, and I’d explain that we don’t put our fingers in other people’s food. And, by god, we wait until dinner starts to start picking at it! I share this not to tear my family down for our learned eating style, but to understand why I had become such a mindless eater. My daughter, who came from my body, and whom I stayed home to raise, hadn’t been conditioned yet in her eating style and habits. 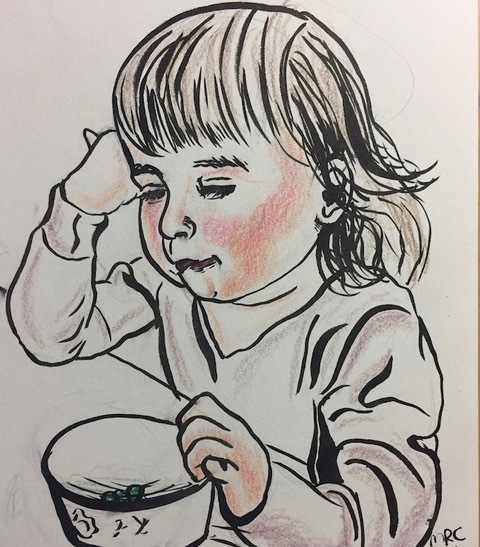 This girl made up her mind that her three candies were of the utmost importance and deserved full attention in a bowl. They also deserved to be consumed one at a time—after sitting down. What my toddler taught me that evening before our movie is appreciation—appreciation for what we put into our bodies. If that food has nutrients is besides the point for this article. I’d say if we are eating a treat, eat that treat on a silver platter! Glorify it. Own the fact that it’s not nutritious; we can’t fool our bodies. With appreciation of that treat or sweet, and pausing to eat it mindfully, we acknowledge and own up to what’s about to go down inside our mouth and stomach. Savor each chewy, chocolaty, salty, sugary bite. Take that extra 15 seconds to grab a bowl for your handful of chips, rather than eating them right out the bag. Own that snack! Own that meal! Maybe this is an extreme act, but if we take the time to do this on occasion, perhaps it’s a way to slow us down and appreciate the little moments and food in life—not just saving them for sit-down meals. Young children—we learn a lot from them. Even the way they take their candy mindfully and in the moment. I really like this reminder to enjoy a treat as much as a meal. 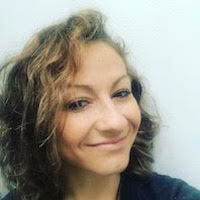 Melissa Rollo Capaletti makes her living as a contracted painter and artist. She specializes in painting animals and pets. As a socially awkward introvert, she expresses herself through drawing, painting, dancing, singing, and handstanding.